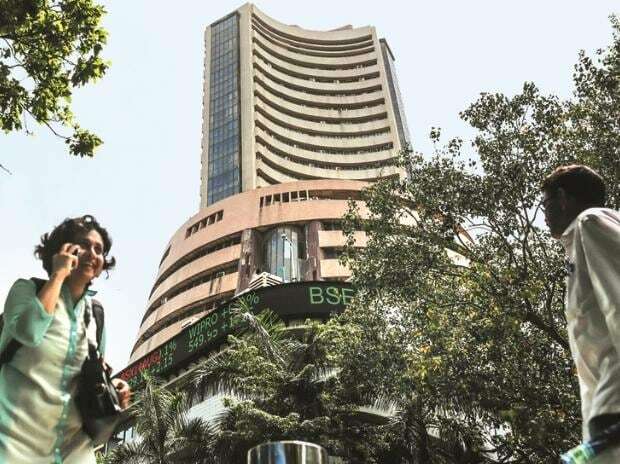 The release of key macroeconomic data, global cues, and foreign fund flows are among the factors that may sway investor sentiment on Friday. India's fiscal deficit data and infrastructure output data for the month of February is set to be released on Friday. Apart from this, stock-specific action, movement of rupee against the US dollar, and oil prices will also be closely monitored. On the global front, the British government on Thursday said it intended to bring back Prime Minister Theresa May's Brexit deal for a third vote in parliament on Friday to avoid a chaotic no-deal divorce from the EU. Moreover, a new round of high-level talks between the US and China will begin later in the day with reports emerging that Chinese officials have gone further and made proposals on forced technology transfer. The two largest economies will try to close a deal to end the yearlong trade dispute. Back home, the S&P BSE Sensex rallied 415 points or 1 per cent to end at 38,546 on Thursday. The broader Nifty50 index of the National Stock Exchange (NSE) added 125 points or 1.1 per cent to settle at 11,570. Foreign Institutional Investors (FIIs) bought shares worth Rs 3,594.51 crore in the Indian equity market on March 28, as per NSE data. Asian shares posted narrow gains on Friday on revived hopes of progress in US-China trade talks. MSCI’s broadest index of Asia-Pacific shares outside Japan edged up 0.1 per cent while Japan’s Nikkei rose 1.0 per cent. The S&P 500 on Thursday gained 0.36 per cent and the Nasdaq Composite added 0.34 per cent. US stocks climbed on Thursday as Treasury yields rose off 15-month lows, with investors optimistic about the latest round of U.S.-China trade talks. The Dow Jones Industrial Average rose 91.87 points, or 0.36 per cent, to 25,717.46, the S&P 500 gained 10.07 points, or 0.36 per cent, to 2,815.44 and the Nasdaq Composite added 25.79 points, or 0.34 per cent, to 7,669.17. Oil prices rose on Friday, pushed up by ongoing supply cuts led by producer club OPEC and US sanctions against Iran and Venezuela, which have given crude markets the biggest first quarter price push since 2009. Jet Airways: Jet Airways has defaulted in repaying $140-million loan to HSBC Bank "because of temporary liquidity constraints". Reliance Communications: Anil Ambani group’s stake in Reliance Communications fell to 21.97 per cent after its lenders — IndusInd Bank and RattanIndia Finance — invoked the shares pledged with them and sold it in the markets. Infosys: Infosys Ltd said on Thursday it would buy a 75 per cent stake in ABN AMRO Group NV's mortgage administration services unit for 127.5 million euros ($143.53 million). Wabco India: WABCO Holdings Inc. entered into a definitive merger agreement with ZF Friedrichshafen AG to sell all of its outstanding shares in an all cash transaction at $136.5 per share aggregating to $7 billion to ZF Friedrichshafen. Tata Power: Tata Power signed a power purchase agreement with BEST (Mumbai Area Municipality) for supply of 676.69 MW of power for a period of five years till March 2024. Lupin: Lupin has launched Fluocinonide Ointment, which is used for inflammation treatment. Wipro: The firm has signed an MoU with IIT Kharagpur for research on 5G Technology and Artificial Intelligence. IPO: Rail Vikas Nigam IPO opens today.